poetry | MAKE BPD STIGMA-FREE! Shared this last year. Thought I’d share it again. This is a video of a poem I wrote in 1990, before my diagnosis of BPD. 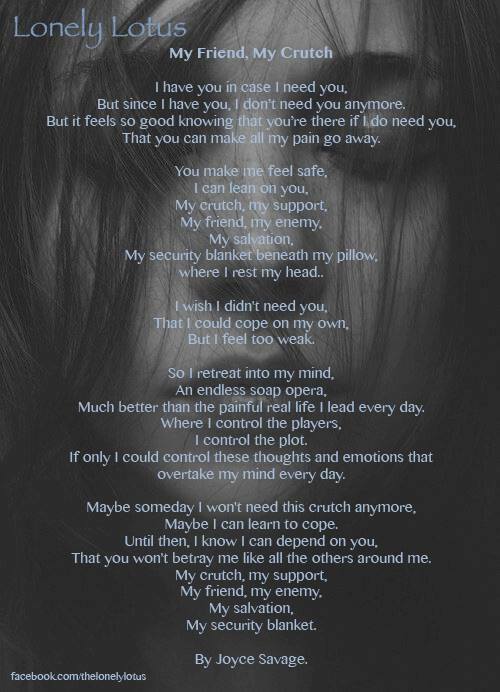 I think it describes really well what it felt like, and still does sometimes to live with this disorder. Or who they want me to be? Do I even have the choice to chose? Do I fail the test? Is this really what is best? That is sitting on my chest! And in need of help. And I can no longer pretend. Rationalize, justify and even deny. Who will win this battle going on inside? Or the person they want me to be? Is this just all my BPD? Why has all of this had to happen to me?